In my last blog, I wrote about people watching at Fast Food Restaurants. This time, let’s dive into Transportation Hubs. These are great places to get ideas for storylines! Locate a spot to camp out and watch people. You can do this conspicuously or inconspicuously. Use your dossier notebook to create characters inspired by the people you see. Look at luggage/purses, shoes, and coats. These are all high ticket items that reflect economic status fairly accurately. Observe groups of travelers: singles, friends, couples, families, social/school groups, business travelers. Are they coming or going? People who are waiting for passengers are interesting, too. Who are they? A romantic rendezvous? A distant relative? A chauffeur? The spouse of a soldier returning? An illicit affair? A business associate? A boyfriend? Where are they going? Where have they been? Business or pleasure? Or family emergency? Here’s a checklist of transportation hubs to observe people. Which one is your favorite? I like to get outside my regular living areas to find inspiration and get some real writing. One key to success is to appear as though you are working very hard on your stuff so people ignore you. Being a creepy weirdo could get you kicked out of a prime place. Our first stop on the world tour is fast food restaurants. For my purposes, fast food restaurants are places of low commitment to food as a culinary experience with a focus on speed and expense. Patrons do not typically stop in for a leisurely luxury lunch here. They are usually in a hurry or have limited time and/or budget. Observe employees. Imagine what has brought them to work at a fast food restaurant. Who is in charge? Is there evidence of teamwork or is it a broken system? Identify individual quirks of the workers. If you are lucky enough to be able to observe the same set of people repeatedly, try making a notebook of fictional dossiers of the players. Include a rough sketch, habits, dreams, realities, physical descriptions, personality traits, etc. Observe patrons. Why are they there? Habit? Circumstance? Laziness? Guilty pleasure? Here’s a checklist for the most popular fast food restaurants! Which one is your favorite for people watching? It’s that time, again! I’m buckling down and getting some real writing done this month with encouragement from the good folks at Camp NaNoWriMo. I’m using all of our writing tools: Lists for Writers, Story Spark, Story Dice, Name Dice, and Spooky Story Dice. My goal is 50,000 words this April and a complete first draft of a novel. We’ll see how that works out. I’m using a handy web tool call Word Counter to analyze my writing. The writing analysis tool is just one reason to visit their site. You will find a lot of helpful writing advice on their blog, too! Another thing I’m trying is camping out at new places to write instead of my dining room. Right now, I’m writing from a local gaming store. I’m a huge fan and frequent customer here and they are very generously allowing me to hang out and work at a table today. I think I might have to make this a regular thing. It’s very peaceful here. If there were a lot of gamers here right now (middle of the day) it would be a temptation, but right now, it’s just a great place to concentrate on what needs my attention. Take the title of “Camp” very seriously and get out of your normal surroundings to boost your creativity! With NaNoWriMo (National Novel Writing Month) approaching, this is a good time to point out that three of our popular writing apps are available on Google Play for Android devices including the Nexus 7 tablet. Our NaNoWriMo experiences before forming Thinkamingo actually lead to our focus on building writing apps, so it’s always neat to see others using our apps to help hit their word count. I actually carry a Nexus 7 (2012) and use it daily. I didn’t attempt NaNoWriMo last year, but I have written quite a bit on my Nexus 7. 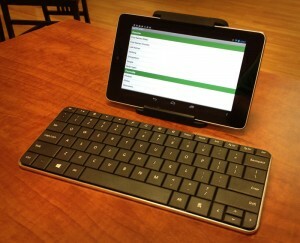 The Microsoft Wedge bluetooth keyboard makes a great companion for wireless writing on the Nexus 7. Though it is intended for Windows tablets, it matches the Nexus 7 (2012) style very well and is large enough to actually type on. I also have one of these cover-style keyboards as well but it’s pretty hard to type on. While I’ve tried the different Android office suites, I write most of my text in Evernote because it syncs so well to my other devices. I’m still not certain whether I will attempt NaNoWriMo 2013, but if I do, my Nexus 7 will get a lot of use. Lists for Writers is a collection of lists to rapidly brainstorm ideas for characters, settings, and plots. The iPad version has been repeatedly featured by Apple and blogs like Cult of Mac and MakeUseOf. Story Dice is a visual brainstorming tool. It simulates rolling dice with 140 different die face pictures to come up with combinations a writer can connect to come up with new plot or character ideas. Name Dice is a simple tool for generating character name ideas. It provides random combinations of first and last names that have been surprisingly effective for a lot of writers. Best of all – it’s FREE! 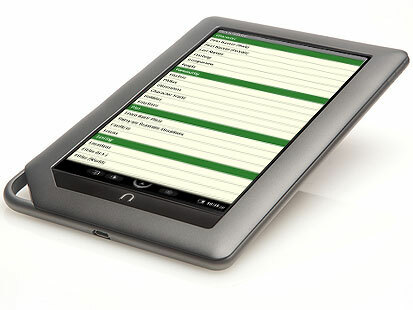 All of our Android apps are available on Google Play, Amazon Appstore for Android, and the NOOK Market. I love my iPad. This year, I’m going to do something crazy. I’m going to leave my writing dungeon and get out and about while writing for NaNoWriMo. November weather in Florida is notoriously stunning, so I’m going to attempt to soak in some of that and still get some writing done. I am pretty handy with my iPad onscreen keyboard, but for this lengthy task, I will be using a combination of bluetooth keyboard with Dragon dictation. Some of you might argue that Dragon is not very accurate, but I will argue right back that the goal of NaNoWriMo is get 50K words of a novel done in November. Once December rolls around, I can start the editing process. I plan to do the actual writing on my iPad2, and use tools on my phone to help me get past my sporadic and annoying bouts of writer’s block, as well as helping me in the editing process in December, which I will do completely on my laptop. Here are my favorite mobile apps for NaNoWriMo! Lists for Writers – Hands down this is my favorite. Yes, I’m biased because I helped make it, but it was born out of our collection of lists from years of working on NaNoWriMo! It has always delivered in time of need! 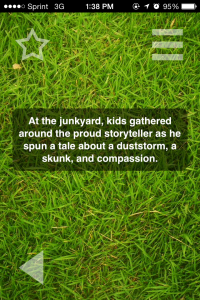 Story Spark – This app generates scenarios. Most of the time, this app just sparks another idea for the story I’m already writing. However, I have used this to write short fictions to get in the groove or get unstuck. Name Dice – You can’t beat this free app for realistic name combinations. I use this all the time to create placeholder names when I can’t decide on a final name for a character. You just never know when the perfect name will come up! Story Dice – Not sure what happens next in your story? Roll the story dice for a random idea/object to weave into your plot. Spooky Story Dice – This is a special edition of Story Dice with 25+ slightly more sinister die faces included. Great for horror writing or even a lightly spooky tale for kids. Spy Tools for Kids – This is a new one for me to use with writing projects. One of the tools in this app is a fake ID maker. You can create driver licenses, passports, and spy agency IDs. I plan to use this by creating passports and/or driver licenses for all of my characters. They are really easy to make, and I can save the images to my camera roll to use elsewhere. I might even print them out for fun! I use a few other apps including Evernote, Dropbox, and Flipboard. If you aren’t already using these all the time, get with the program and get them! Free! Just in time for some scary storytelling, Spooky Story Dice has been updated to fully support the iPhone 5 / iPod Touch 5th Generation and iOS 7. Spooky Story Dice is a seasonal and more compact version of our app, Story Dice. It has over 70 pictures to generate spooky elements in your stories! From the “More” menu, users may change the settings to show 1-3 dice on each roll. Great for a middle school or high school language arts or English classroom Halloween activity. 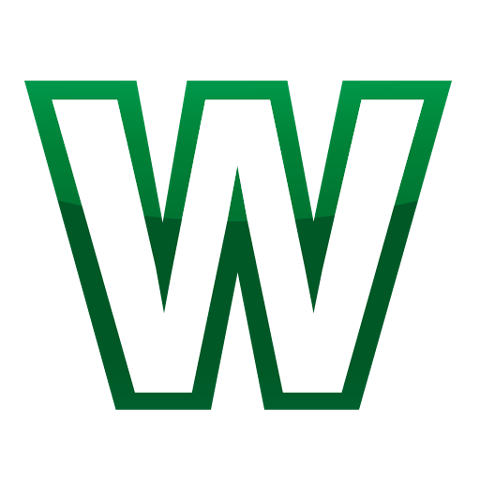 For actual writing, there are a number of word processor apps, but it’s hard to beat QuickOffice Pro if you need a full-featured word processor. Evernote organizes your writing and many other things. It’s even more useful paired with Skitch, a drawing tool that works with Evernote, for making maps, family trees, diagrams, and even crude character sketches. Having a photo in mind of what each character looks like helps a lot, but for younger writers, an app like WeeMee Avatar Creator lets you create cartoon avatars for your characters. We built the Lists for Writers app based on our experiences with NaNoWriMo. We took our collection of lists and organized it into a handy app that we can access all the time. Our Story Dice app is a brainstorming tool to develop story plots. With a roll of the virtual dice, you could add a twist to your plot, or get an idea for your main character’s backstory. Our free Name Dice app makes character naming easy! This free app has a million different first and last name combinations. The source lists have been carefully curated to produce believable names. Movie soundtracks can be a an incredible source of inspiration while writing. Set up Pandora with some movie soundtracks! Also, creating playlists for each of your main characters helps explore them in greater detail and can help you really get into the writing as the character when it comes to dialogue. We hope you enjoy your Camp NaNoWriMo writing experience as much as we will! With Camp NaNoWriMo (National Novel Writing Month) starting soon, I wanted to point out that several of our popular creative writing apps are available on the Barnes and Noble Nook Color. The iPad versions have been featured on numerous sites, including Cult of Mac, NPR All Tech Considered, and MakeUseOf. Our Lists for Writers app has dozens of lists to help quickly develop characters, settings and plots. Our Story Dice app uses combinations of pictograms to help brainstorming of plots. Our Name Dice app gives instant inspiration in the form of random character names. It’s really surprising how much the right name can shape the character’s personality in the writer’s mind. Sometimes, using an app to throw some random ideas into your writing can really help spark your creativity! Good luck with Camp NaNoWriMo this year! Camp NaNoWriMo is a spin-off program of the very popular NaNoWriMo (National Novel Writing Month.) In the single month sessions of April and July, you can get some encouragement to get significant chunks of writing done. Visit campnanowrimo.org to join! It’s free! With Camp NaNoWriMo’s lower end goal only being 10,000 words in a month, this is an easily reachable goal for most people. If you have plenty of time on your hands and think you can turn yourself from a couch potato into a writing machine, maybe 50,000 words is within your reach. Once you set your word count goal, it’s very important to have some checkpoints along the way. If your goals is 10,000 words for the month, you need to write 2500 words each week, and around 500 words, five days each week. Print out a blank calendar and mount it somewhere you will see everyday. Cross off each day as you complete your word count, and make a note of your daily word counts. 2. Set up a regular writing spot. Do you work best at your desk? Dining room table? Recliner? Window seat? Library? Park? If you have one productive spot, take some time to clean it up and refresh your supplies. If you need a variety of places, make a list of those now so you don’t have to think about it later. Some writers need paper, pens, dictionaries, thesaurus, etc. Others need a laptop and an iPad or phone with apps. I’ve been in both camps and can do it either way. I highly recommend that if you work on a laptop, that you turn off your internet connection during your scheduled writing time. This will increase your productivity greatly! 4. Schedule time to write. Gaining skill and mastery requires regular practice just like playing the piano or fencing. When is your brain firing on all cylinders? Early morning? Late night? Find a time and carve it out on your calendar. Don’t skip it. Just do it. Even if you write nonsense for an hour, you might write one great sentence that will help you accomplish your goal tomorrow. Legendary composer Aaron Copland said that he found the greatest time of inspiration to compose between the hours of 8am-4am, Monday through Friday. Get busy and just do it! 5. Get to know your characters. Who are these people you are writing about? Spend some time making character profiles, family trees, relationship flow charts, and finding reference photos. The more fully you envision your characters, the more easily dialogue will form between them. If you write a brief backstory for each character, that will help you find their motivations for the way they behave with your other characters. Researching setting improves the process by providing a great deal of credible information to draw from. Is your novel set in 18th century France? You might want to study! Is your main character a neurosurgeon? Read up on it! Are your characters from a modern-day Chicago suburb? Get on Google and look at the satellite and street views of some Chicago suburbs! Print out some houses for your characters to live in. Draw a map. Lay out a house design so your action makes sense. 7. Tell no one, someone, or everyone. I go back and forth on this one. I either tell everyone I know that I’m working on something, or no one, and do it secretly. This is up to you, but make a decision and stick to it. If you decide to keep it to yourself, keep it! This is most difficult to do if you are married or otherwise committed to a significant other (or have a parent living with you.) You can choose to tell that one person only. That seems to be a good choice, but only if that person is supportive and doesn’t cast judgment on you. What are you going to do when you complete your goal? Go out to dinner? Buy new shoes? Go sailing? Whatever it is, find a picture of it, put it in a cheap frame, and keep it nearby during camp. When your internal motivation hits a wall, look at your reward for some external motivation. 9. Assemble a writer’s block first aid kit. I have two kits: physical and virtual. My physical kit contains a dictionary, a thesaurus, story dice, pipe cleaners, unusual pens and pencils, assorted paper, number dice, lists I’ve kept over the years, a couple of current magazines, creativity card deck, and a stress ball. My virtual kit contains: iPad, iPhone. I use brainstorming apps on my iPhone and use my iPad as a sketchpad, notepad, and timer. Thinkamingo has a toolbox full of apps that help me with my brainstorming process, including: Lists for Writers, Story Dice, Name Dice, and Story Spark. Other apps I use for organizing my writing, sketchbooks, and productivity are A Novel Idea, Penultimate, Simple Pomodoro Timer, and Dropbox. Ann Adair is the President and Co-founder of Thinkamingo Inc and makes mobile apps with her family. She has participated in NaNoWriMo for years and never crossed the finish line. Following her own advice, Ann plans to write at least 10,000 words in April’s Camp NaNoWriMo.